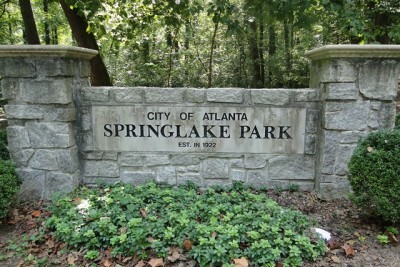 Springlake is located in southwest Buckhead in zip codes 30318 and 30305. This Atlanta neighborhood prides itself on having a small town feel. It’s home to approximately 375 households with a mixture of small bungalows as well as large newer construction homes. 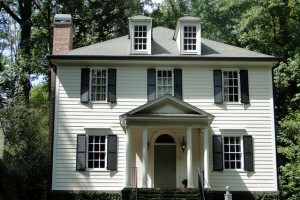 Springlake is convenient to plenty of Atlanta’s most popular attractions. Springlake is the winner of this week’s Neighborhood of the Week. 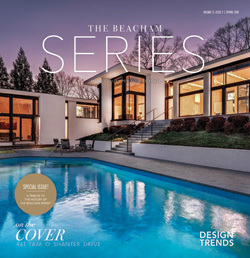 Here are the top 10 reasons we love Springlake and Buckhead. School , and North Atlanta High School. There are several private schools in the area, as well. Two Atlanta golf courses are located within minutes of the Springlake community. 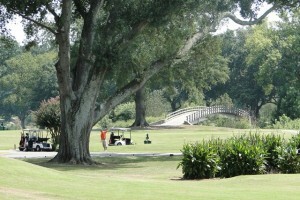 The Bobby Jones Golf Course, which is named after the world famous top golfer, is an 18 hole public golf course. There are two clubhouses that have space to host meetings, weddings, and special golf outings. The course was built in 1932 and was recently updated with new greens. Also nearby is the Cross Creek Golf Course that is open to the public, but is a very private course. You don’t even need to call ahead for a tee time! Cross Creek is an 18 hole par three golf course with a proshop, on-site golf pro, and a bar and restaurant. Residents of the Cross Creek community also have access to the tennis courts, multiple swimming pools, health club, and banquet facilities that are located in the main clubhouse. 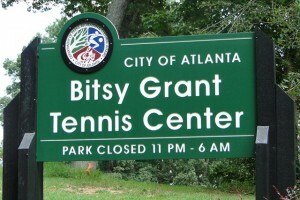 Named after an Atlanta sports legend, the Bitsy Grant Tennis Center is just East of Springlake. It is a City of Atlanta recreation facility that was built in 1952 and it has hosted several national and sectional championships throughout the years. The Center has 23 hard and clay courts that are lit up during the evening hours. They offer weekly clinics, round robins and even Fall and Summer ALTA boot camp. Springlake Community– In 1922 Springlake was founded on McKinley and Wilson streets. The area has since expanded, but it still has a small neighborhood feel. The community has monthly cocktail parties, a garden club, and other seasonal and holiday events. The Springlake neighbors worked together with the city of Atlanta to fund and build a playground in the neighborhood, as well. The Springlake Civic Association provides a neighborhood security patrol, a neighborhood directory. It also sponsors annual picnics, ice cream socials, and other events. Nestled along Peachtree Creek, Atlanta Memorial Park is approximately 199 acres with about 70 acres of undeveloped land for recreational use. Joggers enjoy a 1.6 mile loop on a dirt path around the park, and there’s a dog park with plenty of additional space to play fetch with your pup. 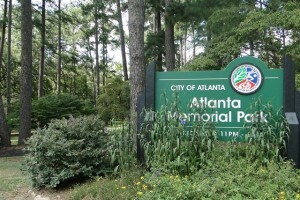 Atlanta Memorial Park also has a playground. Also close to the Springlake neighborhood is the Beaverbrook Park. This 7 acre park has a playground, softball fields, trails, and lots of green space. Atlanta BeltLine The Atlanta BeltLine project, that connects metro Atlanta via bike and jogging trails, has their Northside BeltLine Park near the Springlake neighborhood. The Northside Trail, which was the first segment of the north side BeltLine trails to open, goes through Taynard Creek Park. It also connects to two other preexisting trails and it is one of the most scenic parts of the Atlanta BeltLine. Springlake has easy access to I-75 which makes it convenient to get anywhere in the Atlanta area. Howell Mill Road and Northside Drive are the east-west boundaries with Longwood Drive bordering the north side and Collier Road on the south. Click here to see a map of Springlake. Shopping Springlake is close to many great shopping areas. 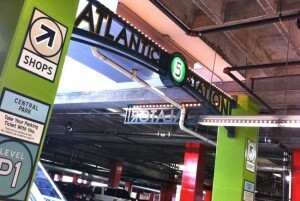 Atlantic Station is an open air, pedestrian friendly, multi-use shopping center that has stores such as Dillards, Publix Grocery Store, H&M, Guess, Ann Taylor, IKEA, Target and West Elm. There is also a Regal Cinema 16. Also nearby Springlake is Howell Mill Village that has a Publix Grocery Store, The UPS Store, Educational Outfitters , Capital City Wine Shop, Salon Next and Epac Electronics. On the other side of I-75 is Howell Mill Square shopping center that has stores such as: Walmart, PetSmart, Office Depot, Ulta, Ross Dress for Less, TJ Maxx, GNC, and The School Box. Residents of Springlake can take advantage of all the wonderful Buckhead and Midtown restaurants that are a short drive away. In the Howell Mill area there is JCT Kitchen, Flip Burger Boutique, Starbucks, Piccadilly, La Parilla and Bacchanalia. Other restaurants that are closer to the neighborhood include: Sakura Stix, Felini’s Pizza, Malaya Chinese, Willy’s Mexicana Grill, Mama Niki’s Pizza and La Parrilla. There is also a nearby McDonalds, Domino’s, Chick-fil-A, Wendy’s, Starbucks, and Einstein Bros Bagels. Entertainment – Because of Springlake’s easy access to I-75, residents have a quick drive to many Atlanta museums and theaters. Those include: The Fox Theatre, High Museum of Art, Center for Puppetry Arts, Atlanta Opera, Atlanta Ballet, Atlanta Symphony Orchestra, and Alliance Theatre. 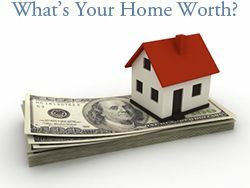 See all homes for sale in Springlake.